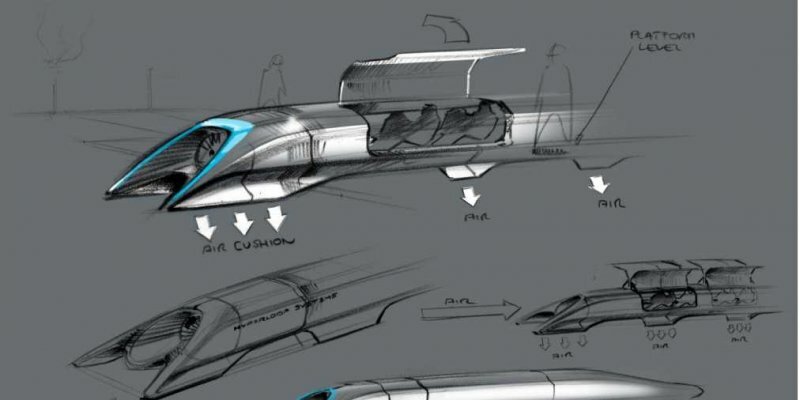 Elon Musk has finally revealed his plans for the Hyperloop. The Hyperloop is Musk’s plan for a new transportation system that’s faster and cheaper than a high-speed train. He released a 57-page PDF that outlines his plan for the Hyperloop. That PDF is embedded below. Musk thinks that high-speed trains are too expensive, and too slow. He wants a system that’s faster and cheaper. Musk says the Hyperloop is best for distances of 900 miles. Beyond 900 miles, he thinks you’re better off in a supersonic jet. He believes the Hyperloop will cost $7.5 billion at most. The $7.5 billion estimate for a pod+cargo version. For just passengers, he thinks it’s only $6 billion. The pods and linear motors will cost hundreds of millions. The tube will cost billions. For comparison, the California high-speed rail project is projected to cost $70-$100 billion. It will be built above ground on pylons, and the prefabricated sections can be dropped into place. By building it above ground, it can mostly follow I-5, and it won’t take up too much land. He actually suggests putting it in the median of I-5. He also has a model for a passenger + car version of the Hyperloop pod. It could take people plus three cars. You can only travel with two bags per trip, and the total weight can’t be above 110 pounds. He plans on having TSA-like security checks, but hopefully faster and less intrusive. Here’s the diagram of how fast the Hyperloop would travel. It would top out at 760 miles per hour. “Whenever you have a capsule or pod (I am using the words interchangeably) moving at high speed through a tube containing air, there is a minimum tube to pod area ratio below which you will choke the flow. What this means is that if the walls of the tube and the capsule are too close together, the capsule will behave like a syringe and eventually be forced to push the entire column of air in the system. Not good.